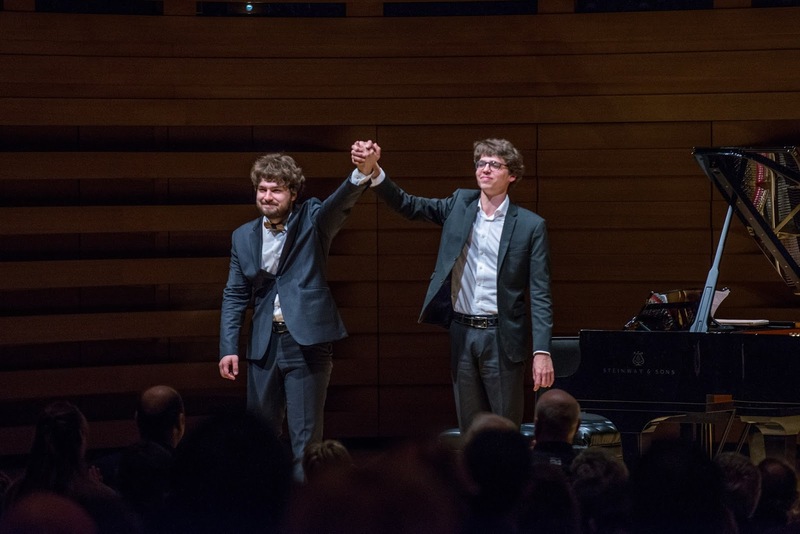 Two 2015 Tchaikovsky Competition laureates for the price of one: This was the upscale bargain offered by the Show One concert organization, whose many Toronto followers obligingly filled Koerner Hall. Few could have left disappointed. Lucas Debargue and Lukas Geniušas were the visiting pianists, the former born in Paris, the latter in Moscow. Debargue is already a minor celebrity owing to an improbable life story that includes a late start at 11 and a three-year hiatus from his chosen instrument in his late teens. The slim 25-year-old says he has learned some complex 20th-century scores by ear, a claim that has led to discussion in pedagogical circles. What cannot be contested is that he has a natural technique and a rich palette, both of which advantages he deployed to stunning effect in Ravel’s Gaspard de la Nuit. From its shimmering beginnings this hyper-difficult triptych seemed to float above the piano in search of another dimension. "Le Gibet," the slow movement, was slow indeed, but mesmerizing from first to last; and the finale, "Scarbo," darted ahead with freewheeling, demonic fury. 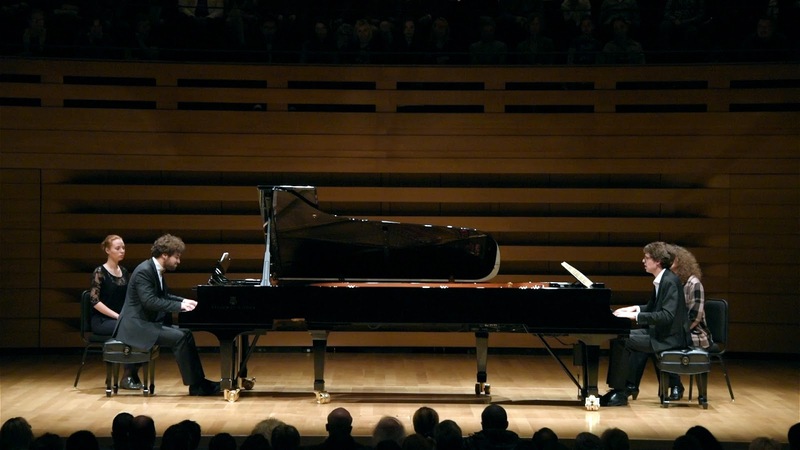 Piano freaks could delight in the high definition of the repeated notes while structural thinkers admired how firmly the pianist understood the thematic value of those tremolos. To the astonishment of all, Debargue disregarded the applause that followed the Ravel and proceeded directly to Scriabin’s two-movement Sonata No. 4, fusing the dreamy start and volcanic conclusion into a captivating whole. Earlier he had performed a pair of Scarlatti Sonatas (K. 208 and K. 24) with a species of freedom that turned the baroque master into a modern mystic. Yet all the weirdness sounded like exploration, not exploitation. I have read about a fuss in Moscow over an open collar. Perhaps Debargue’s eyeglasses give him a Left-Bank look but his stage manner is polite. The point is the playing. From Geniušas (winner of the second prize; Debargue finished fourth) we heard a more mainstream style, richly coloured in the melodious middle movement of Prokofiev’s Piano Sonata No. 7 but by the same token a little thick in the manic finale. A bell-like Steinway tone prevailed in seven Chopin mazurkas. Tempo fluctuation was extensive but not always convincing. Just the same, this player, also 25, is one we need to watch. The two Lukes collaborated at the start of this April 30 concert in two of Grieg’s four-hands Norwegian Dances Op. 35. At the end they performed Ravel’s La Valse in the version for two pianos. Geniušas played primo while Debargue took charge of the breathtaking glissandi of the secondo part. Quite intoxicating. Cheers all around. There should be applause also for Show One, which is defying the stodgy book-in-advance routine of the classical music world. Millions watched the Tchaikovsky Competition from Moscow through the Internet and other media. Why not capitalize on that buzz rather than let it dissipate?